Lead generation companies or content marketing – which one? Lead generation companies or content marketing - which one? So you’ve realized that you need to increase your sales, you have a sledgehammer in one hand and a magnet in the other. What do you do? Option A) You could get hold of a pile of “leads” produced by lead generation companies and then use the sledgehammer to bang your adverts home. Option B) You can use the alluring power of the magnet to get customers the same way that P&G, Microsoft, Cisco Systems and John Deere get their customers. With focused, well-thought out, methodological content marketing. Good content marketing addresses issues that customers care about, good content marketing also addresses the different stages a customer goes through in the sales process. 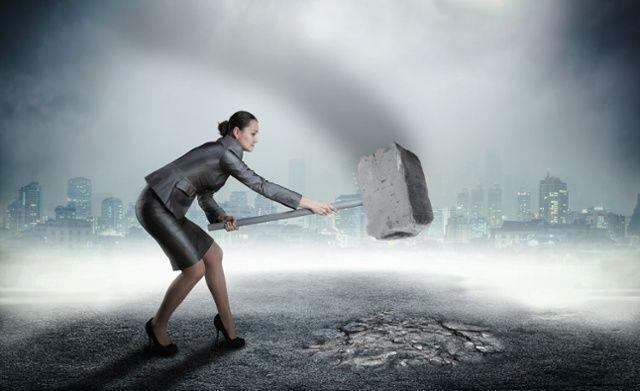 Traditional marketing (sledgehammer) is becoming less and less effective. As a forward-thinking company (which we believe you are) you probably realized this a long time ago. Content marketing builds trust while producing leads. Lead generation companies build skepticism and distrust in a brand. Generating leads through building trust is outsmarting and not outspending your competitors. Have you ever received a call center call from a company you’ve never heard of? Or for a product you have no interest in buying? You might have been the victim of a lead generation company. But have you ever followed a brand on Facebook or LinkedIn who’s content you enjoy and also share with your friends? Then you’ve been the lucky target of a brand that values your time, your interests and gives you useful information. You’ve just figured out the difference in these two marketing forms for yourself. I know which one I would choose and I’m guessing it’s the same as your choice. All of us want to be exposed to marketing that helps and touches us in some way instead of a mass-marketing campaign aimed at no-one in particular. Your potential customer is on a journey, by attracting them with magnetic content you will be able to build trust and assist them through the sales funnel to purchase. Content marketing (and its big brother “Inbound Marketing” is about building promoters of your brand and not hammering them into submission. Content/Inbound Marketing also produces leads as part of the process but these leads are people who already like you before you even start selling to them.